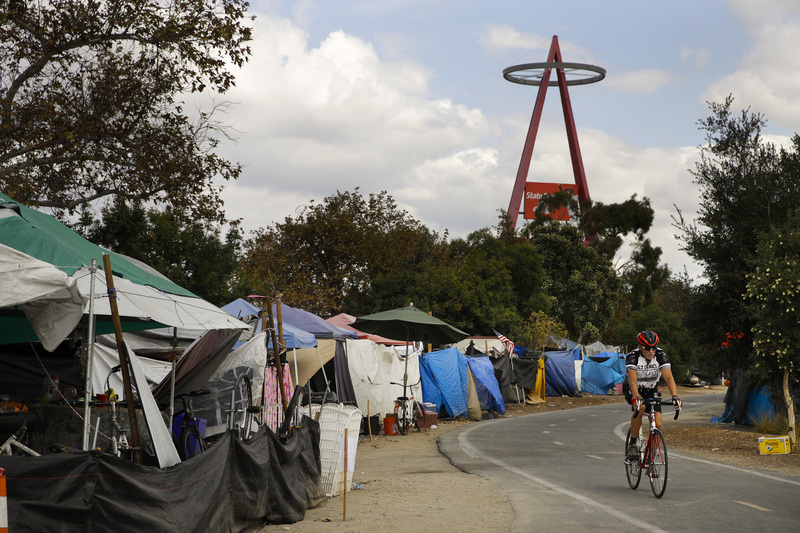 On Sept. 13 the city council of Anaheim, Calif., voted unanimously to declare a “state of emergency” regarding the homeless people living along its Santa Ana River trail. The response to this civic crisis follows a familiar “not in my backyard” trajectory experienced in other U.S. communities. More than 13,000 residents had signed a petition calling for the removal of the 400 or so people living along the riverbed, an effort that had been facilitated by paid organizers. It is not only Anaheim but Southern California as a whole that finds itself in the midst of a homelessness emergency. During a contentious four-hour public meeting on Sept. 12, Kris Murray, the council member who sponsored the emergency declaration, described a number of ideas to increase the number of beds available for homeless people, but the declaration includes no actual steps other than increased police presence in the riverbed. It is not only Anaheim, but Southern California as a whole that finds itself in the midst of a homelessness emergency. A survey last December conducted by the Downtown San Diego Partnership discovered that the homeless population in downtown San Diego had nearly doubled in four years, leaping by more than 300 in the prior 12 months. You cannot walk more than few blocks through the area without encountering people living in tents or cars, even sleeping curled up in the middle of the sidewalk. The same is true throughout much of the region. In Los Angeles County homelessness has soared 23 percent over the last year; as of May 31 there were 58,000 people without homes, more than two thirds (42,828) living unsheltered. Orange County has seen an 8 percent rise in homelessness in the last two years, with some 4,800 people now lacking a home, and Riverside County an 11.5 percent rise. Imperial County reports that its numbers have tripled in one year. Only San Bernardino County has seen its homeless population stay relatively stable over the last year, at nearly 1,900 people. While Mr. Walgenbach has seen some small improvement in the county’s response to homelessness, the lack of organization around permanent housing remains a major concern. “How do you get serious about the problem when you don’t have the end goal, the housing?” he wonders. While mental health and addiction continue to play a significant part in these numbers, basic housing affordability is a source of strain. Imperial County has the highest unemployment rate in the state, nearly 20 percent as of March, and nearly 25 percent of the county’s population live in poverty. The annual median wage for the county is just $41,000. Abodo’s report tracks the housing insecurity being experienced by renters in Southern California at virtually every income level. Most housing specialists warn that spending more than 30 percent of your income on housing places renters and homeowners into a precarious financial state. In the Los Angeles-Anaheim area, over 90 percent of renters with incomes under $35,000 are paying more than 30 percent on rent, as are 75 percent of those earning $35,000 to $49,999 and nearly half those earning $50,000 to $74,999. In Riverside, only 34 percent of those earning $50,000 to $74,999 are similarly cost-burdened, but 63 percent of those earning $35,000 to $49,999 are over that dangerous 30 percent threshold. Homeowners are doing no better. The UCLA Anderson School of Management found in June that six of the seven most unaffordable cities for homebuyers are in California. The most unaffordable, both for renters and buyers, is Los Angeles. This article also appeared in print, under the headline "Tent City, USA: Southern California’s homelessness crisis," in the October 16, 2017 issue.